Savage Yellowstone Bears Will Eat You Alive! Guaranteed. I did not know that, as Walter Sobchak would say. The fact that there is no guarantee of my safety in bear country came definitely as a surprise. First of all, I did not know I was in bear country, I thought I just went to Yellowstone; I even did not know that such country exists. Secondly, I’ve always thought that some or another Mighty Universal UN Convention guarantees me a huge number of rights, such as the right to privacy, to freedom of speech, thought and conscience, dissent and religion, assembly and movement, as well as the most precious right to my physical and mental integrity, life and safety. Why then this Convention does not work in Bear Country? — that was the pertinent question I couldn’t find an answer to. Could it be that the wild bears, due to their overall simplicity and lack of education, are not aware of these most fundamental human rights? That sounded plausible at the moment. Then how do they know that if I won’t run, they are not supposed to eat me alive? I’ve also read that some bears do not eat carrion, but did bears read the same instructions? Most definitely not. Thus another safety advice, i.e. to lay down and pretend I’m dead, while protecting my head with my own bare hands (as the bears usually go directly for your head), sounds also not that inspiring. They won’t only devour you, these sneaky bears will also steal your food! Disgusting! 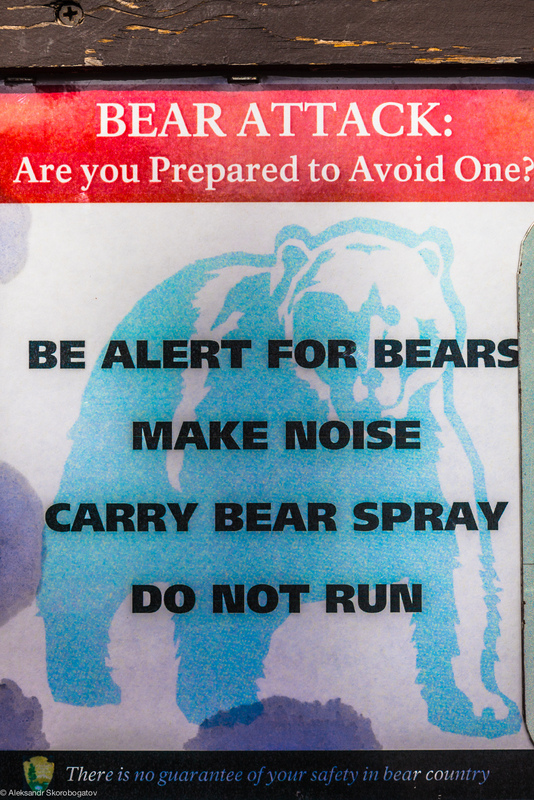 Joking aside, it seems that bear spray is indeed the only way of saving your life if attacked by a bear (aside of some really heavy weapon like a bazooka or tank). 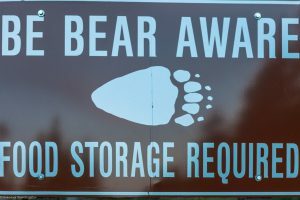 If attacked, unlock the canister and calmly spray in the direction of the bear, charging at you at 40 mph (64 km/h), at the moment the latter reaches the distance of 40 feet (12 m 19,2 cm) from you. If applied right, the bear starts sneezing, forgetting for a while about tasty you. Which in turn gives you an opportunity to run for your life. 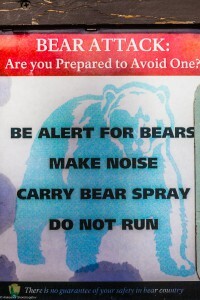 Which won’t help you at all, as them freaking bears run blazing fast. 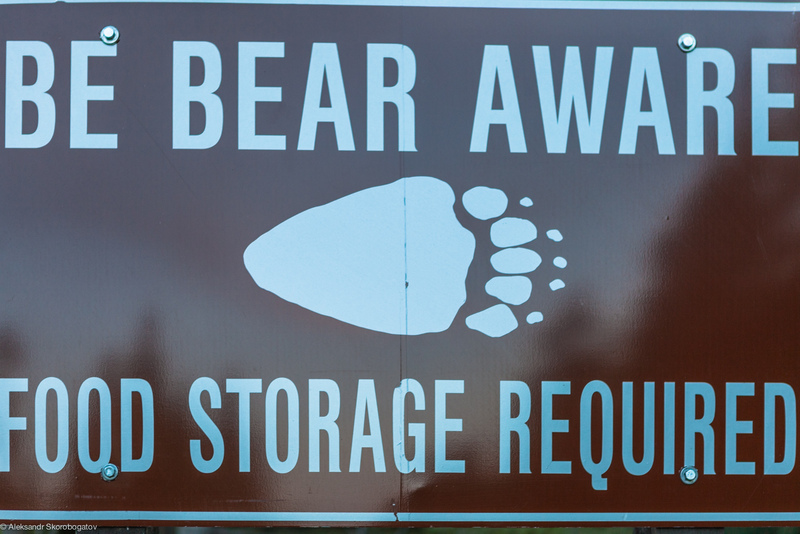 Which basically means you’re doomed in bear country. Nothing can guarantee your safety. So relax. There are much worse things in the world than just being disembowelled by Yellowstone bears. I’d even provide you with a striking example of these things, if I knew one. Just keep chilling and enjoy Yellowstone with its population of hundreds upon hundreds hungry, savage bears. PPS — That’s more savage bears than living tourists in Yellowstone! Run, Forrest, run!